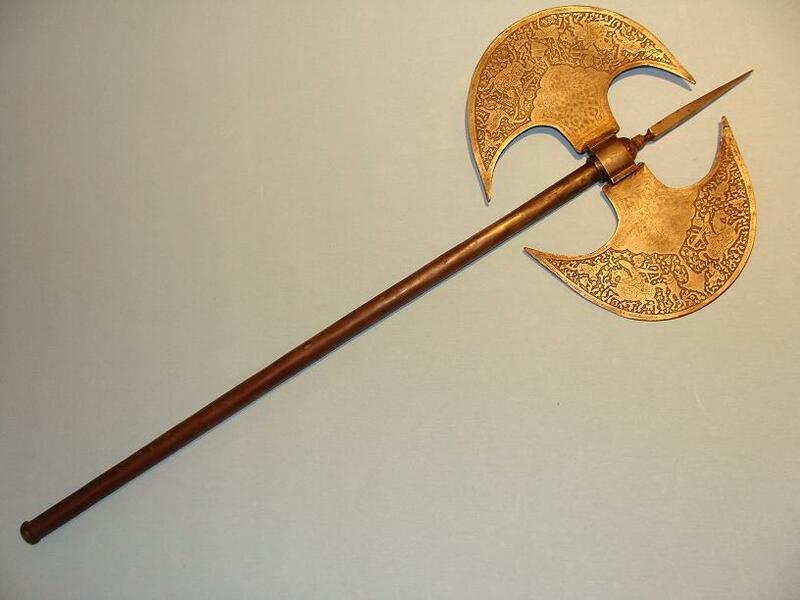 74cms long, 29cms wide across the head, large 4 sided iron spike 12cms long protruding from between the axe heads. 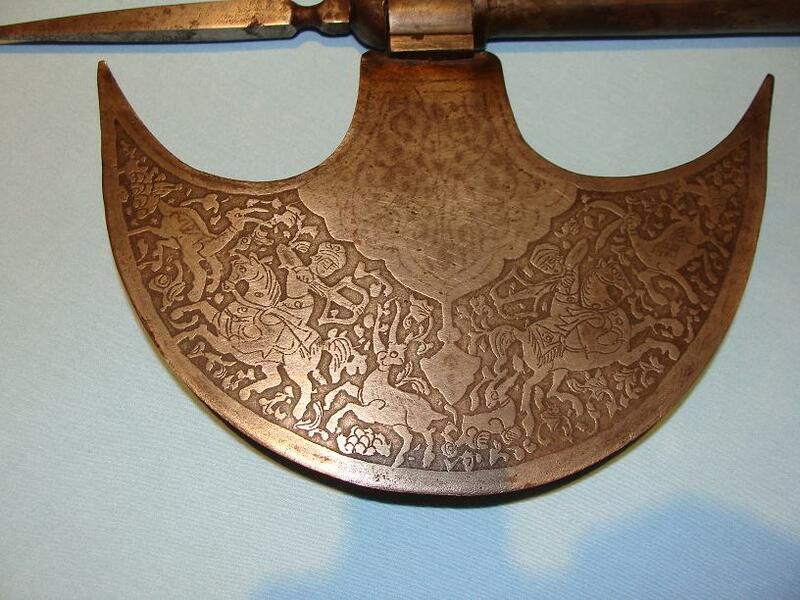 Axe heads are decorated with archers on horseback, deer and other animals. 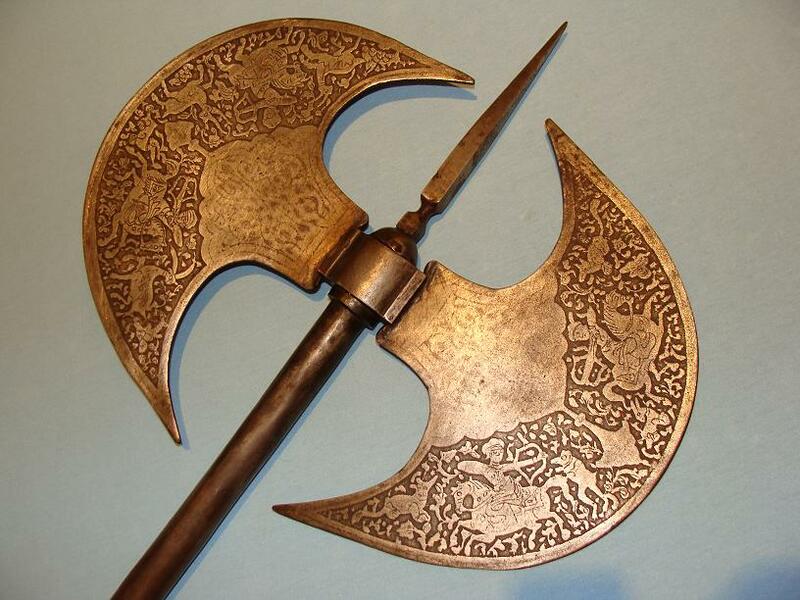 Faint traces of other decoration to the rest of the axe heads.